Tents, Tables and Chair Rental | A&T's House of Bounce Inc.
House of Bounce is your One Stop Party Tent Rental Shop! We offer a wide selection of party tent rentals and accessories! 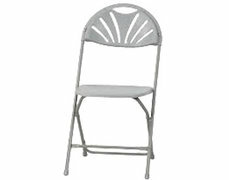 Take advantage of BIG DISCOUNTS on table and chair packages! Tent Rentals are easier when you choose A&T's House of Bounce Party Tent Rentals and events in Newburgh, NY. If you are hosting an outdoor event in the Newburgh NY area, You know how crazy the weather can be. Don’t make the mistake of not having a party tent rental in your event plan. We have various sized tents which work well for any size party or event. With the maney different options, our delivery crew will have you set up in no time! Book your tent using the same 8 hour time block needed for any inflatables and/or concession equipment. We will install the tent a minimum of 4 Hours prior to your party start time. In some cases we will deliver the day before. Pick up is always the following day! Party tent rentals provide shade and a reprieve from the hot New York sun. 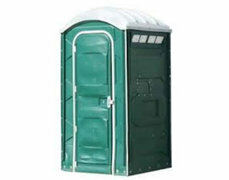 They provide shelter for your guests as well as a place to keep party food safe from the elements. We all know that mother nature can be highly unpredictable at times, so don't let your guests get caught in the rain or blistering sun. Check out our high quality and affordable tent rentals from A&T's House of Bounce for your next event. 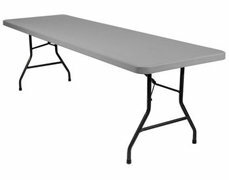 If you are looking for the most economical party tent rentals Newburgh has to offer, don't forget to add tables and chairs while booking your tent. We offer Several different sizes and variations of tent rentals for any event or party rental. Our party tent rentals are perfect for birthday parties, church funtions and company gatherings. We even have the perfect high end canopy tent rentals for weddings, Bah/Bat Mitzvahs and graduation parties. 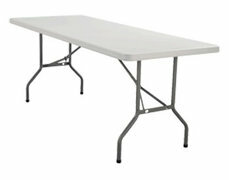 Our 10x10 canopy tent can comfortably seat 10-15 party guests at once and has room for two tables and chairs. 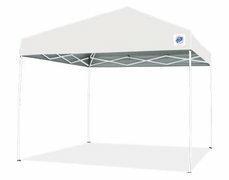 This canopy tent rental is perfect for small parties or for setting out your food and beverages. We also offer a 15x15 west coast frame party tent rental which can accommodate 16-24 guests at once and has room for 4 small tables and chairs. This tent is also the perfect tent rental for small parties and also works perfect for setting up carnival games. Are you hosting a larger event and need more space? We can easily accommodate up to 80 guests with our larger tents which measure 20x20, 20x30 and 20x40. 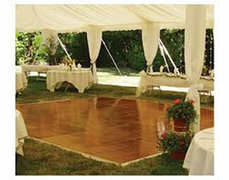 We have standard pole tents along with elegant High Peak Event tents. Our High Peak Event Tent has no pesky center pole coming down the middle, giving you unobstructed space under the canopy. Still need bigger? Give us a call and discuss your event with one of our dedicated party tent planners. Why You Should Choose House of Bounce for your Party Tent Rental Package? All of our party tent rentals are meticulously cleaned. We take great pride in cleaning and caring for all our tents so you receive nothing but the best. There is no need to worry about a dirty tent showing up to ruin your party or event when you book with A&T's House of Bounce Tent rentals . We guarantee on time professional delivery on all of our party tent rentals. All of our tent rentals are installed at least four hours before your party start time. In some cases, our professional courteous staff will install your tent the day before your party. Our tent rentals are left overnight and picked up the next day. We understand that event and party rentals can get expensive which is why all of our tents are affordably priced. No matter what your budget, we have the perfect party tent rental. 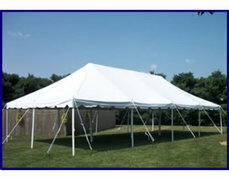 We offer Commercial Grade Fire Retardent Licensed Tent Rentals. 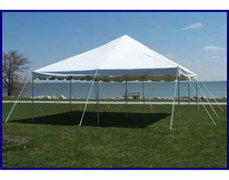 Our Standard Party tents measure 20x20, 20x30 and 20x40. These are standard pole tents and have the center pole(s).This style tent can not be set up on blacktop, concrete or Decks. They require 40' Stakes be hammered in the ground around the perimeter of the tent. These tents also have strapping that extends out 4-5 feet from the tent and down two the ground stakes. This is necessary for support and structure of the tent.You must add 10 feet to the size of each tent to accommodate the layout space needed. a 20x30 tent rental takes up a space of 30x40. 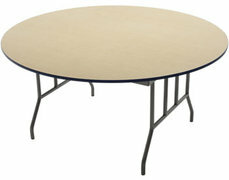 We also offer a more elegant frame style tent which has no center poles and limited side poles. These can be set up on Hard Surfaces and decks with the use of water barrels or concrete ballasts. Check out our 20x40 High Peak Wedding Tent Rental for your next event. Ordering your bounce house rental is easy at www.HouseofBounceNY.com using our new online reservations system. Just click the order by date link and enter the date and times of your event. Then as you browse through our website, you will be presented with only those items available on your date. Not ready to comit, no problem. Simply explore the categories and as you see items that are perfect for your party, just click the "Add to Cart" Button from the product page. The website will automatically adjust the price based on the times you enter into the calendar. Rental rates are based on the same 8 hour rental you select for any Inflatable rental or party accessory. 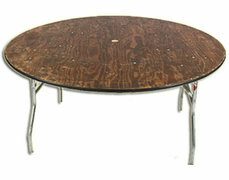 All tent, tables and chair packages will be delivered and installed a minimum of 4 hours prior to your party start time. In some instances they will be delivered and set up the day piror. All tents are picked up the following day. 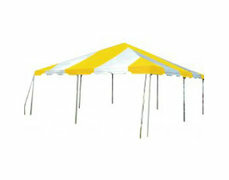 Our party tent rental comes with free local delivery and Installation. Our free local delivery zone is highlighted in the google maps page found below. There is a small delivery charge for party rentals delivered more than 15 miles from our warehouse in Newburgh, NY. For a full list of cities we service, please check out our Delivery Area Page. If you do not see your city listed, please feel free to reach out to us through chat. If you prefer, you can call us at 845-787-0515 or email us at HouseofBounceNY@gmail.com. We offer our party and event rentals throughout Orange County NY. We deliver our Tent Rental Packages to cities including Middletown, New Windsor, Monroe, Chester and more. 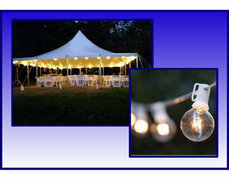 We offer our Party Tent Rentals throughout Ulster County, NY. We deliver our Tent Rentals to many cities including Marlboro, New Paltz, Wallkill, Highland, Kingston and more. 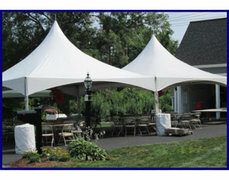 We offer our party tent rentals throughout Dutchess County in NY. We deliver our tent rental packages to cities such as Poughkeepsie, Fishkill, Beacon, Wappinger Falls and Lagrangeville. We offer our party tent rental packages throughout Putnam County in NY. We deliver our tent rental packages to cities such as Brewster, Cold Spring, Putnam Valley, Carmel and More. We offer our party tent rental packages throughout most of Westcester County in NY. We deliver our tent rentals to cities such as Peekskill, Yorktown Heights, Katonah, Mt. Kisco, White Plains and more. 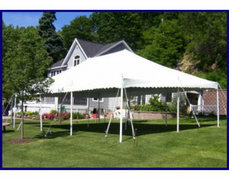 We offer our party tent rental packages to a portion of Sullivan County in NY. We deliver our tent rentals to Monticello, Wurtsboro, Blooming burg and Fallsburgh.